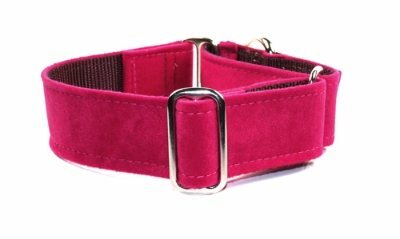 This is hot pink/ fuschia Crypton suede it feels similar to velvet but is super durable.You may add embroidery to the Crypton collars as a decorative element. All collars are lined in a satin strip for durability, unless the fleece option is chosen. Fleece is available ONLY for double bar buckles.